The Oncology Nursing Certification Corporation (ONCC) Oncology Certified Nurse (OCN) exam was designed for registered nurses seeking to demonstrate their understanding of current knowledge and practice in oncology nursing and feel the personal accomplishment of earning OCN certification. The OCN exam tests your advanced knowledge and skills related to oncology nursing beyond the minimum knowledge and skills necessary to become an RN. While RN licensure demonstrates the requisite entry-level knowledge to begin working in the field, it does not necessarily demonstrate to your employers or patients your dedication to continuing your education and broadening your knowledge and skills. The OCN certification process is voluntary and provides your employers and patients with the assurance that you are dedicated to obtaining and maintaining specialty knowledge in oncology nursing. OCN certification also provides comfort to your patients and rewards to you as an RN. Certification, while voluntary, may be necessary for advancement into higher level roles in your organization and can help open additional professional opportunities, including potential income increases. 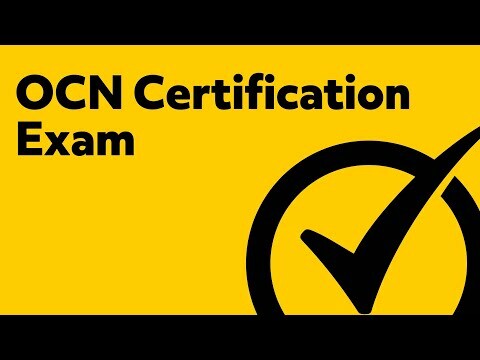 What is the OCN certification? The OCN certification is the Oncology Certified Nurse certification. This certification signifies that a nurse is able to provide care and counseling to cancer patients as well as assist in cancer therapy, maintain patient records, and administer medication. How much does it cost to take the Oncology Certified Nurse exam? The cost to take the Oncology Certified Nurse exam is $286 for ONS or APHON members. How do you become Oncology Certified Nurse certified? To become an Oncology Certified Nurse, the minimum degree that you will need is a Bachelor of Science in Nursing. After becoming a licensed Registered Nurse, you will need to have at least one year experience as an RN with a minimum of 1,000 clinical hours in oncology. Is the OCN exam all multiple choice? The OCN exam is multiple-choice. It contains 165 multiple choice questions which can be a question or an incomplete statement that will be followed by four answers or completions. Out of those 165 questions, 145 will be counted towards your final score while 20 questions are pretest items. How long do you have to take the OCN? Test-takers are given three hours to complete the OCN exam. How do you sign up for the OCN exam? To sign up to sit for the OCN exam, you will need to submit your application at ONCC.org. Within four weeks of submitting your application to test, you will receive an Authorization to Test once you are determined eligible. You will then receive a test eligibility period for you to schedule and take the test. What is the pass rate for the OCN? The pass rate for the OCN ranges between 70% and 80%. What is a passing score for the OCN exam? The score for the OCN exam is given as a raw score that is then converted into a standardized scaled score. The passing scaled score of the OCN is 620.
Who is eligible to take the OCN exam? In order to take the OCN exam, you must hold an active, current, unencumbered RN license in a state or territory of the United States or Canada. Potential test takers must also demonstrate at least one year (12 months) of practice and experience as a licensed RN, occurring within 3 years of completing the application for the exam. Additionally, applicants need to have completed at least 1,000 hours of adult oncology practice in nursing within 2.5 years prior to application. This practice needs to have been completed as a licensed RN and can be clinical, educational, administrative, or in a research capacity. Lastly, you need to have completed at least 10 hours of continuing nursing education in an oncology related area within the previous 3 years. What are the costs associated with the OCN exam? The full cost of the OCN exam is $416 for non-members. However, if you are a member of ONS/APHON, you will receive a discount, reducing the cost of the exam to $296. If you are an ONS/APHON member who is 65 years of age or older, the cost of the exam is $225. If you are not a member, but you are 65 years of age or older, the cost of the exam is $315. The ONCC website should be consulted for additional discounts based on date and timeframe. How many questions are on the OCN exam? The first section covers continuum of care and is weighted at 19%. Questions will address health promotion, disease prevention, screening, early detection, advanced care planning, epidemiology, survivorship, rehabilitation, treatment considerations, and end-of-life care. The second section is weighted at 17% and covers oncology nursing practice, including questions on the scientific basis for carcinogenesis, immunology, and clinical trials, along with additional cancer considerations, classification, and prognosis; standards, scope and legal concerns; and professional performance and quality of practice. The third section covers modalities of treatment and is weighted at 19%. Questions cover surgery, blood and marrow transplants, chemotherapy and radiation, biotherapy and immunotherapy, and vascular access devices (VADs). The fourth section is weighted at 23% and contains questions related to etiology and symptoms, surgical and anatomical alterations, pharmacology and intervention, palliative care, alterations in systems functioning (immune, gastrointestinal, respiratory, etc. ), and other modalities. The fifth section is weighted at 12% and is comprised of questions regarding oncology emergencies, including DIC, SIADH, sepsis, tumor lysis, anaphylaxis, pneumonitis, spinal cord compression, and other syndromes and conditions. The sixth and final section of the OCN exam is weighted at 10%, and covers psychosocial dimensions of care related to cultural diversity, including spiritual and religious concerns; financial concerns; body image issues; learning styles and barriers; coping mechanisms and social relationships; and support-related concerns. What is a passing score on the OCN exam? The OCN exam is scored on a scale, which means it is not a percentage score. A scaled score of 55 is passing for the OCN exam. Having a thorough understanding of the content and structure of the OCN exam is the first step toward earning your OCN certification. Getting enough sleep before the exam and taking care of yourself physically will aid in your success on exam day. However, the most effective means of ensuring you perform well on the OCN exam is to prepare using the best test preparation materials you can find. This is where Mometrix steps in. Mometrix Test Preparation offers a comprehensive OCN exam study guide: OCN Secrets. In this guide you get actual OCN exam questions that help you recall the material you already know and achieve the score necessary to earn your certification. The OCN Secrets study guide was written by Mometrix Test Preparation’s standardized test researchers, who have discovered the secrets of the OCN exam and are able to impart to you the most effective methods to reduce your stress, pass the exam, and become an OCN. 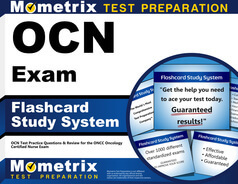 In addition to the OCN Secrets study guide, Mometrix also provides you with the OCN Exam Flashcard Study System, which includes additional comprehensive OCN Exam Practice Test questions. 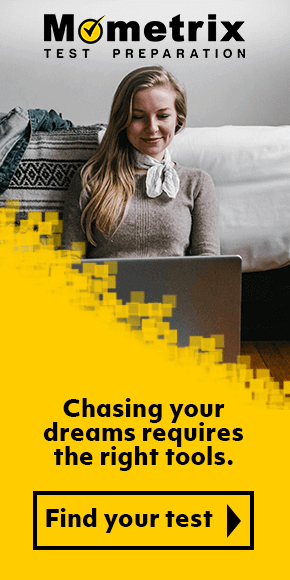 Earn the best score you can earn on the OCN exam by thoroughly preparing, studying, and testing yourself with real OCN exam content. Read the OCN Secrets study guide, test your knowledge with the OCN Exam Flashcard Study System and Practice Test, and get the score you need to pass the OCN exam and become an OCN. You have the knowledge and skills; now you need the certification. Mometrix Academy is a completely free OCN certification resource provided by Mometrix Test Preparation. 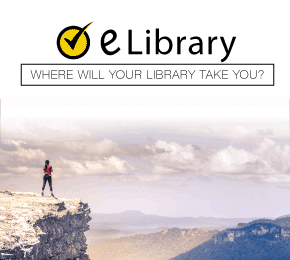 If you find benefit from our efforts here, check out our premium quality OCN study guide to take your studying to the next level. Just click the OCN study guide link below. Your purchase also helps us make even more great, free content for test-takers. Our customers love the tutorial videos from Mometrix Academy that we have incorporated into our OCN test study guide. The OCN study guide reviews below are examples of customer experiences. The book is so much easier to comprehend than the Core Curriculum offered by the licensing site. I need to be able to understand what I am reading without a lot of fluff, but also without just reading straight bullet points either. This book is the best of both worlds, easy to read and understand while being short and concise on the subject matter. I am really happy with this purchase. It is concise and user friendly. I love that is has 165 test questions which is the exact number of test questions that will be on the actual exam so I can practice taking the test timed and untimed. It also gives the rationales which is helpful to study. I am preparing to take the OCN exam in the fall of 2016 and am confident this product will help me succeed in passing the exam. The study guide format was perfect…all valuable information, no fluff or filler. Facts and information straight to the point. The “Test Taking Strategies” were extremely helpful, especially for someone like me who second guesses and over-analyzes questions too often. I even gained knowledge from the explanations of the correct answers for the practice test. I think that this book has been great so far- It breaks everything down and gives great rationales. Even though I’ve worked as an oncology nurse for years- some topics I’m just not as strong in since it’s not my field of focus… this does an amazing job of breaking things down and giving examples! I like how this book is in an easy to read format, without too much detail. I also like the tips on test taking and that there is a practice test included. I have just began to use this book but so far so good. OCN Secrets Study Guide is very helpful for studying and/or review. I heard about the product from an employee that recent took the OCN exam and successfully passed the exams. I am telling others about the study guide. This book was the most helpful as I used several sources to study for this exam. I took the exam 3 times and passed by using this study guide prior to taken the exam the third time. I am using the book to help my daughter study for her OCN exam. The formatting of the content sections of the study guide for the OCN makes studying for the exam easy and very effective. This study guide highlights the key areas to focus on for the OCN exam. Loved the Top 20 Test Taking Tips. I have found this to be a very helpful tool in preparing for the OCN exam. The condensed review of topics and the clear explanation of test answers have been very helpful. Not overwhelming or filled with too much extra information. I like how concise and organized the book is, especially how it matches the current OCN Test Content Outline. I took the test last year and I had a difficult time organizing the way I was studying. I’m really glad I bought this book.